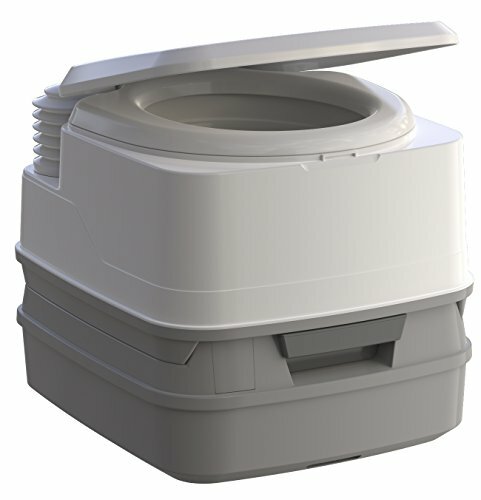 The Theford Porta Potti includes a redesigned valve handle, fill cap and pump, and a more-ergonomic carrying handle. It averages 27 flushes, and the fresh water and waste water tank hold 2.6 gallons. If you have any questions about this product by Thetford Marine, contact us by completing and submitting the form below. If you are looking for a specif part number, please include it with your message.